The Shouf Biosphere Reserve has been added to the International Union for Conservation of Nature (IUCN) Green List of Protected and Conserved Areas, a global standard recognizing best practices in protected areas. It was one of 15 natural sites from Egypt, France, Jordan, Kenya, Mexico, Peru and the UAE that were added to the IUCN green list, bringing the total number of listed sites to 40. The list includes Wadi Al-Hitan in Egypt, the UAE’s Al-Wathba Wetland Reserve, and Montague Island Nature Reserve in Australia. 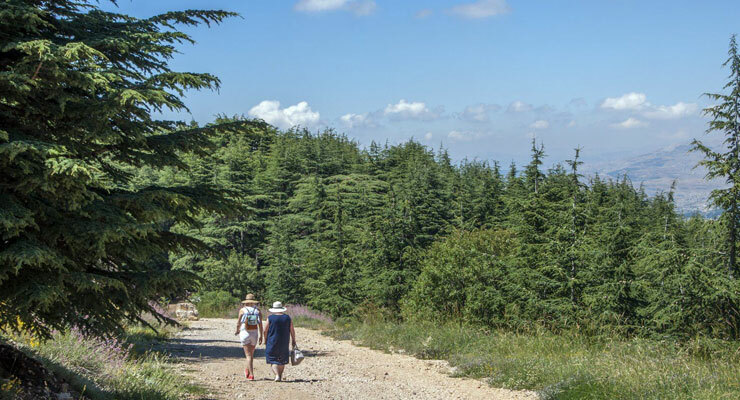 The reserve, which stretches from Dahr Al-Baidar in Mount Lebanon to Niha Mountain in the Shouf, contains 25 percent of Lebanon’s remaining cedars. Some 105,000 tourists visited the reserve in 2017, compared to 87,000 in 2016, and the number of visitors is expected to increase this year. According to the IUCN, Shouf Biosphere Reserve is thriving thanks to restoration and conservation projects. The management of the reserve has succeeded in involving locals in conservation. The reserve also contributes to the local economy by providing resources used for traditional products and organic food. Sites on the IUCN Green List have demonstrated excellence based on an assessment of 17 criteria of success in four areas: governance, management, design and planning, and conservation outcomes. Every five years IUCN evaluates the sites listed checking the quality of protection of natural values and the effectiveness of actions against threats. The reserve received the certification during the UN Biodiversity Conference in Egypt. The IUCN raises the profiles of listed reserves through the conferences it organizes, social media, and its website. “The reserve’s committee can also play a role with IUCN in promoting the reserve,” said Hani.